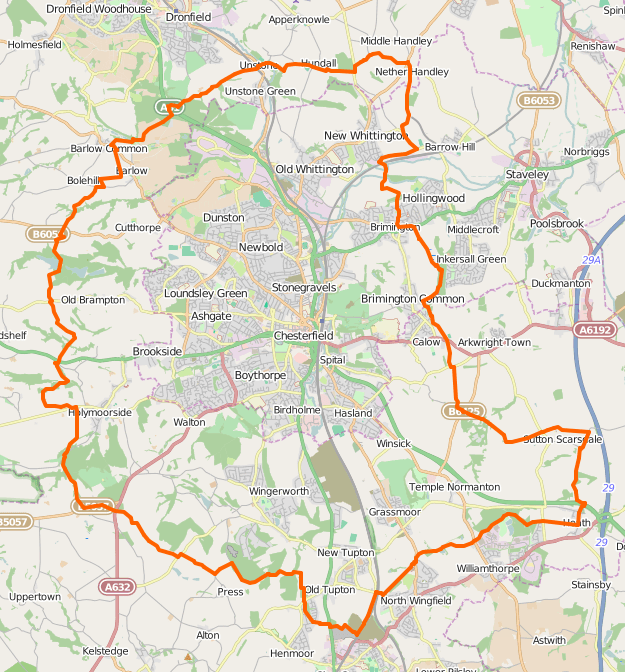 The 34 mile Chesterfield Round Walk is now 10 years old. It was established by our group, led by the then Footpath Secretary, Dennis Ransby – with community grants and the generous help of volunteers. The route is regularly walked as part of the eight day Chesterfield Area Walking Festival and is planned for Sunday 10 May this year. It starts from the White Hart, Calow at 7 am and proceeds at a brisk pace via Sutton Scarsdale Hall, Heath and the Five Pits Trail, North Wingfield and Tupton for a packed lunch outside the Red Lion, Stone Edge. To mark the 10th anniversary this year the Mayor of Chesterfield, Councillor Alexis Diouf and the Chair of NE Derbyshire District Council, Councillor Tracy Reader, have kindly promised to turn up, not to walk 34 miles, but to greet the walkers at their Red Lion lunch stop, sometime between 11:30 and 12:30. Anyone else is welcome to join them to offer much needed support and encouragement. The route then proceeds via Holymoorside, Barlow, Unstone, and Brimington to hopefully arrive around 7 pm back at the White Hart in Calow. For those who would like to try the route in smaller bites of around 11 miles a time, the Chesterfield Festival offers the chance to do this on three subsequent days during the week – on Monday 11 May, Wednesday 13 May, and Friday 15 May. The entry is free but we always welcome donations to the charities we support – Mountain Rescue and the Air Ambulance. The Round Walk route in detail. A current article in Reflections Magazine. Booking for these and all 58 festival walks is at the Chesterfield Visitor Information Centre. Early morning rain soon passed over to give a fine, sunny day for Kay’s walk from Eyam. A climb up the hill to Mompessom’s Well was followed by a route over Eyam Moor to Leam, and then to Stoke Ford and Abney. The return to Eyam was via the Sir William Hill radio mast. A dozen on the walk. This morning I was joined at the Barley Mow pub by a dozen members on a 5 mile circular walk around Wingerworth. Taking in some historical sites, the Sheepwash, the Old Saw Mill, Stubbing Court of Olave Baden Powell fame, Salem Chapel and Gorsey Place. Again sunny weather and wildflowers were in abundance. Over to Broadgorse Farm and Matlock Road with the return through Walton Woods. 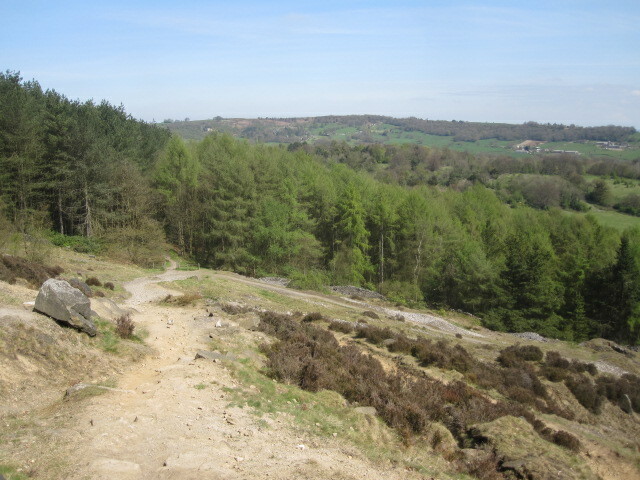 I was joined by 14 members and a guest in the Peak Edge Hotel car park in glorious sunshine for a 10 mile circular walk. The route went by the Pig of Lead, a fine example of a stone lead smelting chimney, across moorland to Uppertown where coffee was taken. Wild flowers galore – bluebells, wood anenomes, violets, and celandines adorned both sides of Smalley Brook en route to the hamlet of Brockhurst and on to Kelstedge. 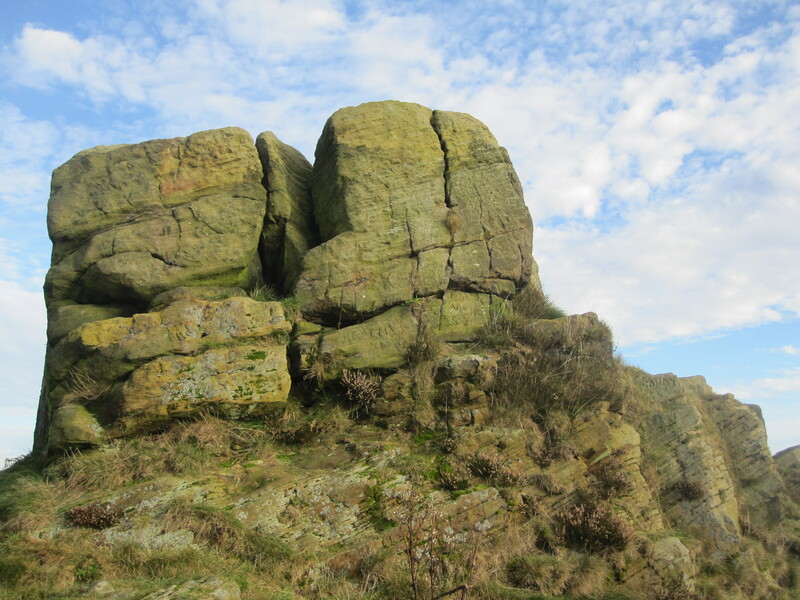 Continuing via Marsh Green to Ashover, the group climbed to take lunch at the trig point of the Fabrick, 1000 feet above sea level, where extensive views as far as the Trent could be seen some 30 miles away. The return was by the villages of Alton, Northedge and Press. The longer car ramble group saw 21, led by Gordon, set out from Eyam for Coombs Dale and Longstone Edge – continuing to Wardlow and the top of Cressbrook Dale for lunch. The afternoon return to Eyam was via Wardlow Mires and Foolow. The lunch stop above Ashover, with excellent views down to the Amber Valley. Another warm sunny day in an excellent week for weather. Fourteen of the long bus group took the X17 to the Wellington pub above Matlock and enjoyed a peaceful meander around the countryside between Matlock and Ashover. The return by bus was from Matlock Green. Many thanks to Rex for leading……his route. 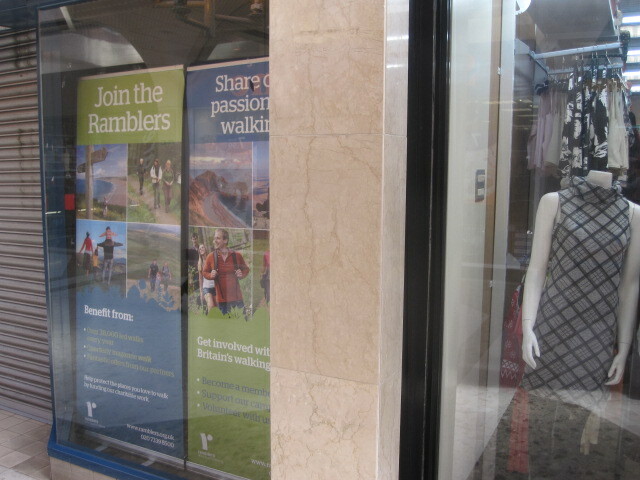 Many thanks to Mel and Margaret for promoting the Ramblers in the heart of Chesterfield – in an empty Pavements shop window. 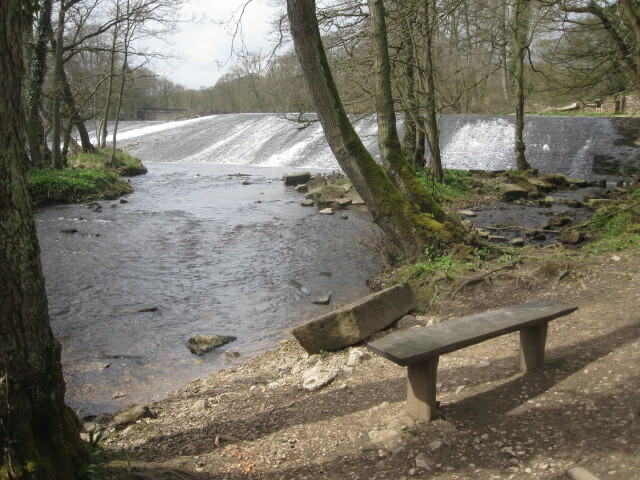 We had a very pleasant seven mile walk around the Coal Aston / Moss Valley area. From Coal Aston village hall we went down Owler Car Lane through Ryalls Wood and on to Ford for lunch. After that it was uphill to Sload Lane and Povey Farm before returning to Coal Aston via Hazlehurst Lane and Whinacre Wood. There were fourteen of us, including four visually impaired. The walk leader was Kay. A good Manifold Valley trip for 33, led by Barbara and Ken. 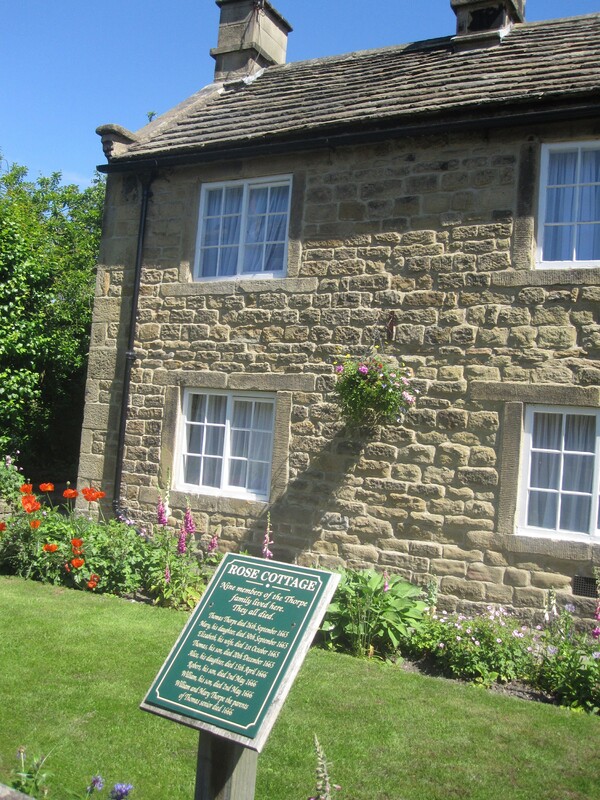 Hulme End is in Staffordshire – but has a Hartington, Derbyshire postal address. 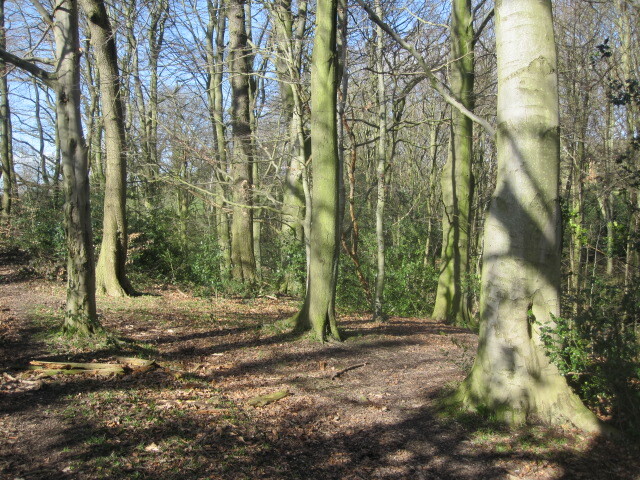 Sunny, bright, and breezy for an eight mile circular walk via Brund and Cuckoostone. An excellent walk led by Tricia and John in breezy, but dry conditions. Stanage Edge, as ever, a great boon to photographers. A Baslow circular for 18 longer bus walkers on a fine day, led by Anne. 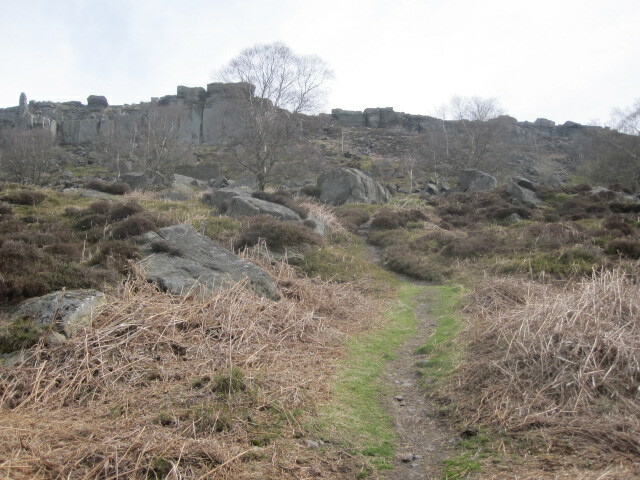 An outward ‘high road’ via Curbar Edge, Froggatt Edge, and Padley. A return ‘low road’ through Grindleford and past Calver Weir to catch the 66 bus back to Chesterfield. There were 10 of us on today’s circular walk, of about 6 miles, from Dronfield Woodhouse. We walked through a farm growing daffodils and dropped down towards Woodthorpe Hall, using a long flight of steps where 28 were replaced by Ramblers’ volunteers only yesterday. After admiring the handiwork we went on to Totley Hall, built in 1623. We heard a woodpecker and a curlew as we walked to Gillfield Wood, where there was a vast carpet of white windflowers (wood anemone). Our return route then climbed up through Holmesfield Park Wood to Holmesfield Church and then back to Dronfield Woodhouse through Kitchen Wood. A Monsal and Cressbrook route for the longer car walkers. History and legend on a walk through Sherwood for 14, led by Andrew – from Church Warsop to Clipstone, via the Major Oak, Archway House, and Kings Clipstone. Robin Hood is no longer a sure-fire winner. Nottinghamshire’s premier oak at 800 – 1000 years old was voted England’s Tree of the Year in the first contest last November – but voters for the European Tree of the Year made an Estonian oak, in the middle of a football pitch, the winner. With footballers running around the roots it certainly won’t be there for the 3015 contest. Ramblers don’t always walk in groups. David was in Staffordshire’s Manifold Valley. I had an enjoyable day walking in the Manifold Valley. It was one of those days when its good to be on your own and able to stop and look around, rather than keeping up with the rest of the group. The warm sunshine was bringing out all the spring flowers,including what I think must be one of the first bluebells of the season. There were also lots of windflower ( wood anemone) , primroses and masses of the tiny white blooms of the wild strawberry. Butterbur was also springing up in the damp spots – quite ugly , I think when fully grown , but attractive enough when still small. There was also a largish splash of blue , which I suspect is a garden escapee – Glory-of-the-Snow (Chinodoxa) ? What was the purpose of the round tower beside the river – it may be a dovecote, but unusual to be so far away from the house and close to the water. The path was also waymarked with a rather attractive disc, on a route promoted by Staffordshire County Council and the Ramblers – much more cheerful than many , in my view. A good, dry and sunny Sunday walk from Earl Sterndale for 13. Thanks to Rob for leading and to John for the photos. – via Chatsworth, the estate village of Edensor and Calton Pastures. Sixteen met at Low Bradfield for the start of the walk which went up the hill to High Bradfield Church and onto the hills above . It was a very scenic and blustery walk across to Broom Head Reservoir, and then above the village of Wharncliffe Side to have lunch in Glen Howe Park. Braving a very persistent flock of geese and a rather muddy bit, we crossed back over the hill for the descent back to the start. A total of 10 sunny, windy, rainy, muddy, funny miles. Thanks to all who came along. 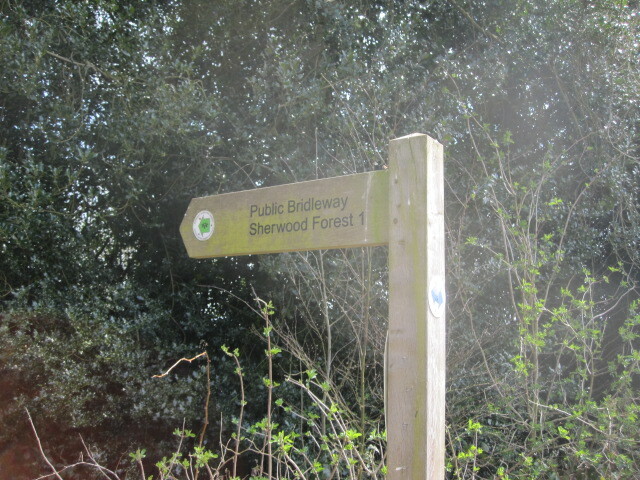 The route was devised by the Dronfield Footpath and Bridleways Society, who are affilates of the Ramblers, and share our interest in protecting and maintaining public paths. Rainbow in the morning and a rainbow of weather ranging from windy to rain, to hail, to sun. Fortunately none of the adverse weather was for long. Muddy underfoot from last night. First walk of the new programme. Also, as it was April Fool’s day, a collection of quiz questions, anecdotes, and miscellany of a humorous nature was shared along the way. Plenty of waymarked walking on our doorstep.